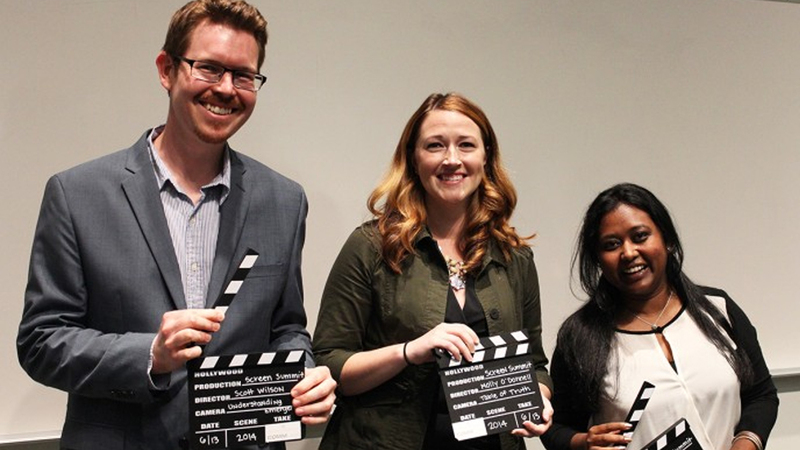 Screen Summit winners Scott Wilson, Molly O’Donnell and Aparna Das pose together after their presentations. 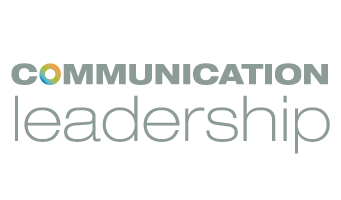 Last month, the Communication Leadership graduate program crowned another year of growth, new partnerships and innovation with a revamped Screen Summit celebration. The annual event showcases student work and invites the community at large to engage with Comm Lead students, faculty and alumni. This year, Screen Summit got a competitive twist. Rather than presenting at the event directly, students refined their projects through public-speaking workshops from Extreme Arts + Sciences for weeks beforehand and then competed for the opportunity to present on the Screen Summit main stage. The competitors were judged by an incredible assortment of industry judges from Seattle’s top communications agencies. Out of that oratory forge emerged three winners—Scott Wilson, Molly O’Donnell and Aparna Das—who turned their diverse passion projects into compelling and succinct TED-like talks. On June 13, all of the competing students unveiled their efforts to the public at the official Screen Summit event inside UW Medicine’s modern South Lake Union location. Nine contestants shared their projects during an informal, gallery-style reception. Then the winners took to the stage in front of a packed auditorium. Cohort Twelve’s Molly O’Donnell kicked off the main stage presentations with “Table of Truth,” a critical look at America’s approach to drug abuse and how the dinner table can become a game-changing solution. Scott Wilson of Cohort Thirteen followed with “Understanding Emergence,” a visually stunning exploration of artistic purpose and authentic storytelling. Aparna Das, also of Cohort Thirteen, concluded the evening with “Project Black Noise,” an emotional narrative about the plight of women in India and Das’ endeavor to make their voices heard. Whether on stage or in the hall, Screen Summit 2014’s student presenters exemplified passion, knowledge and work ethic. We can’t wait for what the next year brings! Article and video by Ilona Idlis, photos by Erica Thompson.